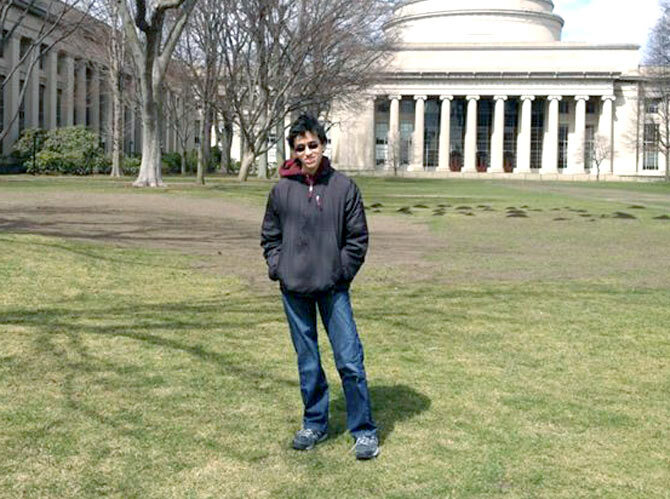 MIT freshman Saumil Bandyopadhyay’s invention has the potential to reduce car crashes and may also help detect hidden land mines and monitor global warming. Indian-American teenager Saumil Bandopadhyay has been selected for the prestigious Ingenuity Award for revolutionising nanotechnology that would upend industries ranging from automobiles to astronomy. MIT freshman Bandyopadhyay is among the 10 selected individuals, who were named recipients of the second annual American Ingenuity Awards last month. Bandyopadhyay, 18, who was presented the award last month, was selected for a unique, sensitive infrared radiation detector that promises to be inexpensive and has scientific, civilian and military applications. The device has already attracted the interest of the US Army, the Smithsonian Magazine said in a statement. “At the age of 18, Saumil Bandyopadhyay had five peer-reviewed scientific papers to his name, but no driver’s license. His busy schedule was partially to blame — he spent much of high school in an electrical engineering lab at Virginia Commonwealth University, wearing a hairnet and tinkering with nanowires. Since his dad was a professor there, he always had a ride home,” the magazine wrote in its December issue. The magazine said Saumil worked on a unique infrared detector, which may one day reduce car crash rates by allowing vehicles to sense each other in fog or darkness. The nanoscale contraption, which to the uneducated eye looks like a silver postage stamp, might also someday help spy on stellar nurseries, detect hidden land mines and monitor global warming, it said. Most exciting, it operates at room temperature, without the cumbersome and expensive tanks of liquid nitrogen needed to cool most other infrared sensors, the magazine wrote. “It’s a breakthrough — a different way of measuring infrared,” Gary Tepper, a professor at Virginia Commonwealth University who tutored Bandyopadhyay on one aspect of the project, was quoted as saying. “We have high-school students in the lab all the time, but we don’t usually see doctoral-level research,” he said. When John Mather, the Nobel laureate astrophysicist, noticed the infrared device at an Intel Science Fair, he invited Bandyopadhyay to NASA’s Goddard Space Flight Center to discuss it.